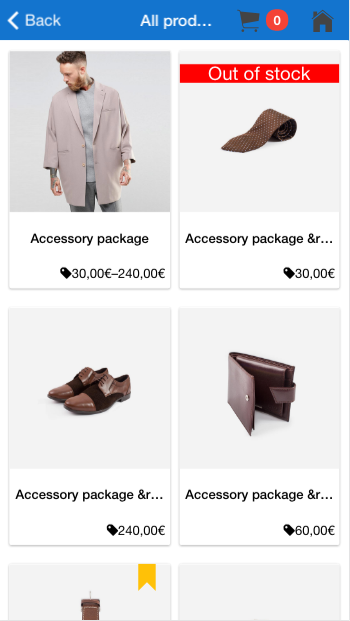 This feature will allow you to integrate natively your WooCommerce store in your application. It is different from the feature WooCommerce Link which is just a link to your store. First of all, you have to connect to your WordPress admin panel. 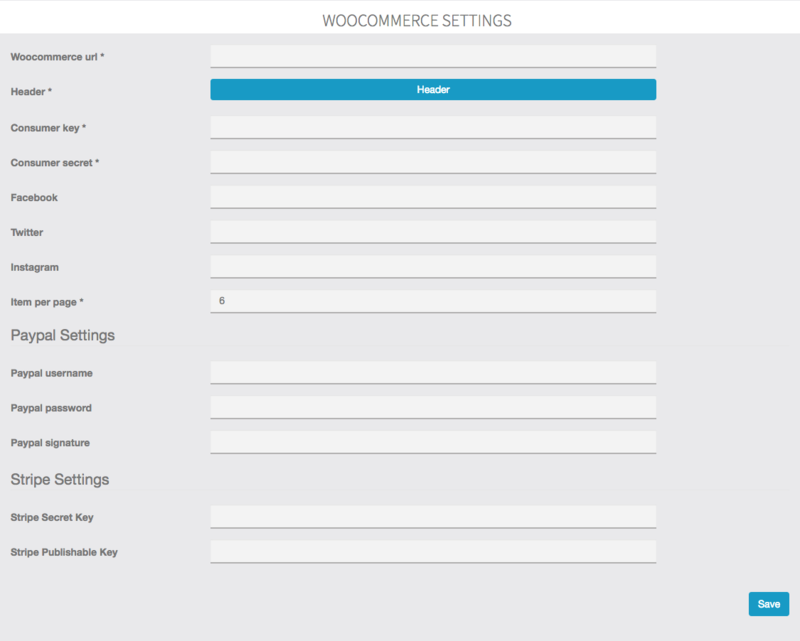 Then go to the WooCommerce tab > Settings. Once in the settings, click on the “API” tab. Now enable the “REST API” just like the following picture, and save. 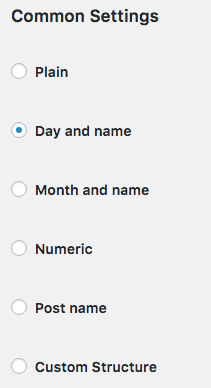 In the Common Settings part, you can choose whichever you want, except from “Plain” or it will not work. Warning: you have to copy/paste the Consumer Key and the Consumer Secret somewhere now, because they won’t be available anymore when you leave this page. Otherwise you would have to revoke the key and create another one. 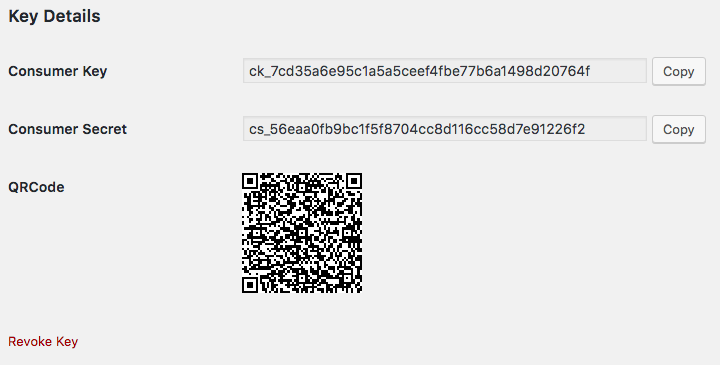 Consumer Key and Consumer Secret: these are the codes you have created earlier and, obviously, copied/pasted as we have told you! You can also add links to your Facebook Page, Twitter account or Instagram account if you want. Items per page: this will set the number of items displayed in your page by default. 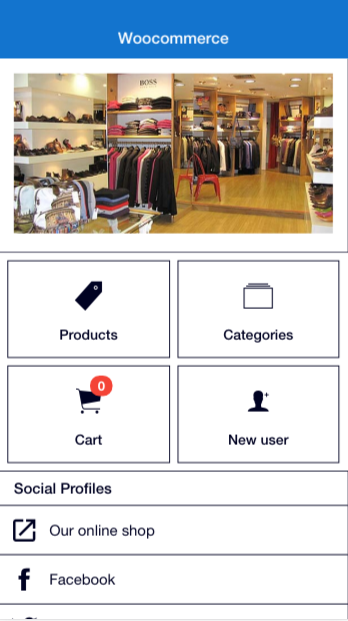 When you scroll down, the other items will be automatically displayed. If you don’t set the API keys for Paypal and Stripe, the users will be redirected to your WooCommerce store through a link and will pay on the website.